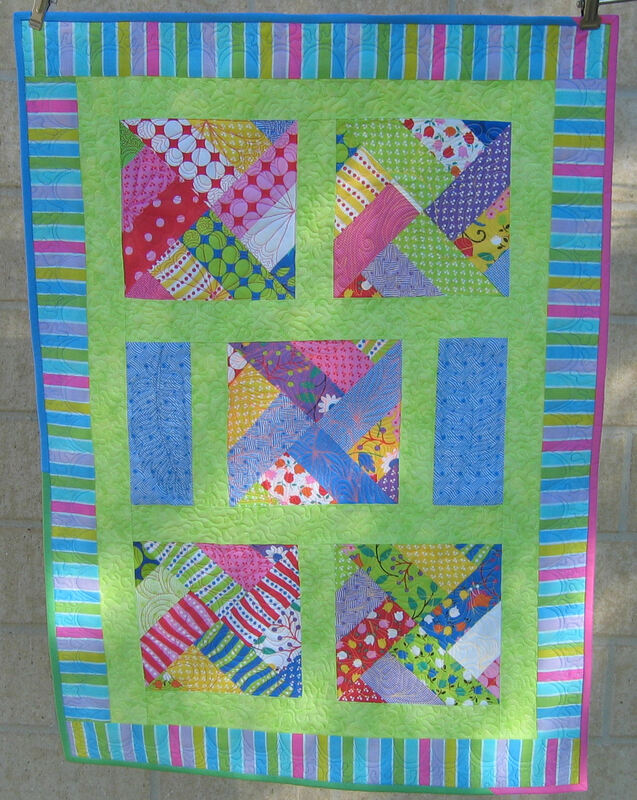 I’ve finally made the last two quilts from the one jelly roll of fabric I got at the Eleanor Burns Quilting Academy (here’s the first and largest quilt I made: https://sandgroper14.wordpress.com/2011/04/25/bright-jelly-roll-lap-quilt-finished/). 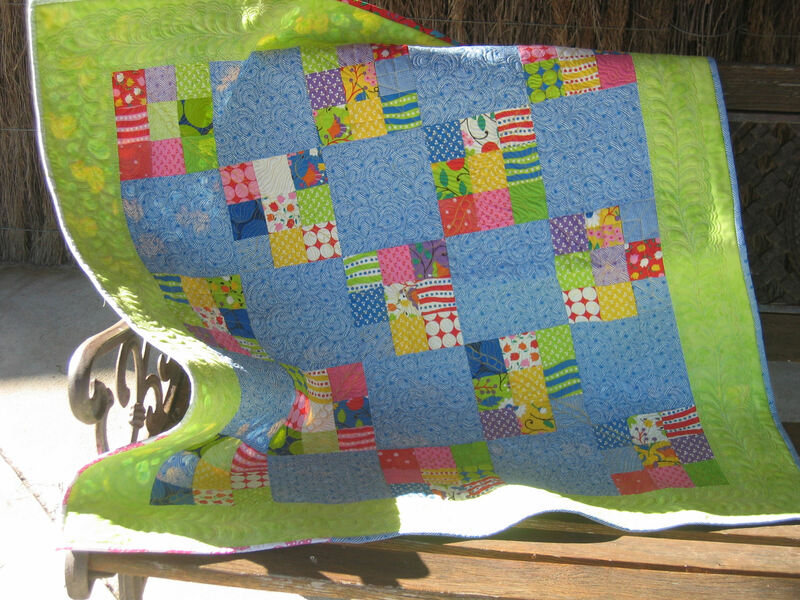 The last two are smaller — one is a lap quilt about 36 inches (93 cm) square, and the other is a gender-neutral cot/crib quilt. 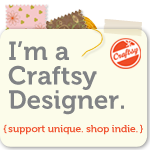 Again, I’ve quilted them densely. I was particularly pleased with the feathers I did in the border of the lap quilt –I really like the method for doing these that I’ve learned from the Diane Gaudynski book. 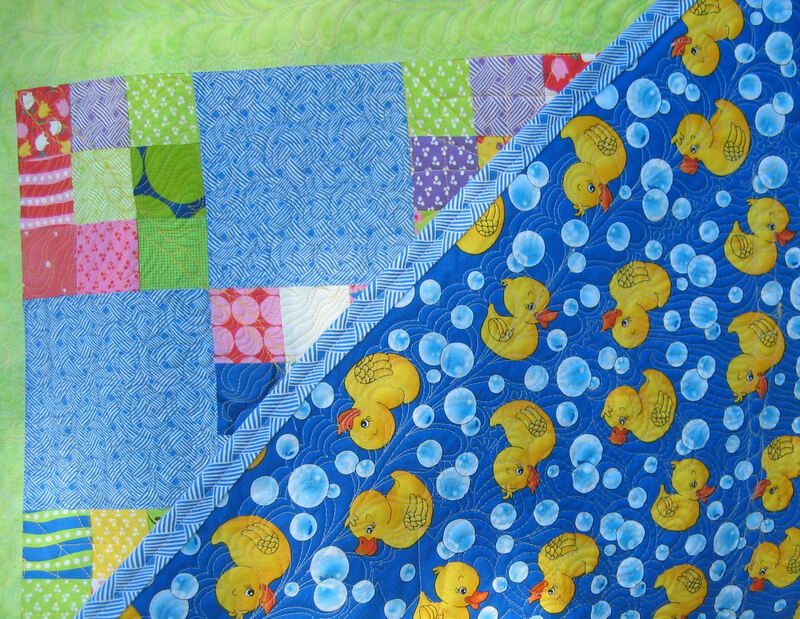 And I love the rubber ducky backing fabric!